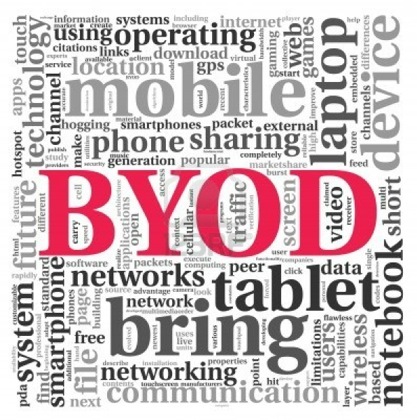 BYOD – Bring Your Own Device – has been a buzzword for a couple of years now. But still many companies – including the one I work in – are struggling to find a sound policy around this topic. By 2016, 38% of the companies will cease to provide personal devices. By 2020, up to 50%. Meaning: the employees have to buy and bring their own. Currently only 6% have gone «all BYOD», while a majority accept a mixed environment where own devices are accepted. Primary device provided by employee. Sometimes with a certain funding from the employer. I believe BYOD is a fact today. Not having a strategy is ignorance. But it creates a lot of challenges, both in how you secure, support, and manage these devices, and at the same time respect the privacy such devices represent. I experience myself that we are in an increasingly mixed environment: we supply the employees with a computer (preferably a laptop) and a company-owned smartphone, and it is accepted that these devices are managed fully. Now, with the increase of personal mobile devices, there are discussions on how we should manage these devices and if we are crossing a line of privacy by doing so. I think this discussion has it’s origin from consumerization of IT. As consumers, we are so used to having access to information at our fingertips from all kinds of resources and from all kinds of devices. We do private banking, healthcare, tax reports, etc. etc. without these services requiring us to let them manage our devices. But once we turn our devices against our enterprise, we are required to comply to stricter policies. Funding of own devices poses also a lot of challenges. As long as e.g. mobile phones are considered as a mandatory part of the employee’s toolkit, we provide them with this device. But those that prefer to bring their own – should they get funding by the equivalent of the price of a company-provided smartphone? What about tax issues, since this kind of funding often will be considered as salary, and taxed differently depending on salary levels, etc.? And – if you go «all-BYO» – can you actually require from the employees to bring their own tools that actually are totally necessary to do the job? But maybe we can’t foresee the future, and these devices become (and already are, for many) an integrated part of what we wear. What do you think will be the main challenge to address the coming 3-5 years, regarding BYOD?